Blue Masking Tapes, also known as Anodizing Tapes, are made of 1 mil thick polyester film and 2 mil thick silicone adhesive. They can be removed cleanly without leaving an adhesive residue. 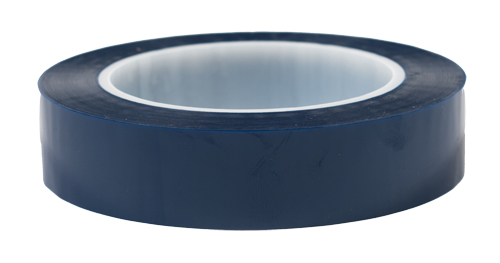 Blue Masking Tapes can withstand temperatures of up to 400°F/204°C. They are packaged in a 3" core and are 72 yards long.